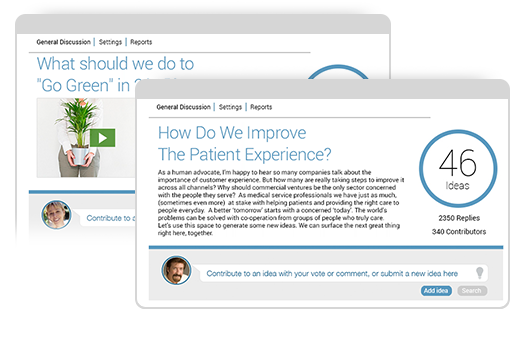 "Whilst Ideation Blogs in Connections cover some of the principal requirements, there are a number of areas in which other platforms have gone further…Therefore, I am delighted to see TemboSocial fully integrate their cross-platform ideation technology, Ideas, with IBM Connections." 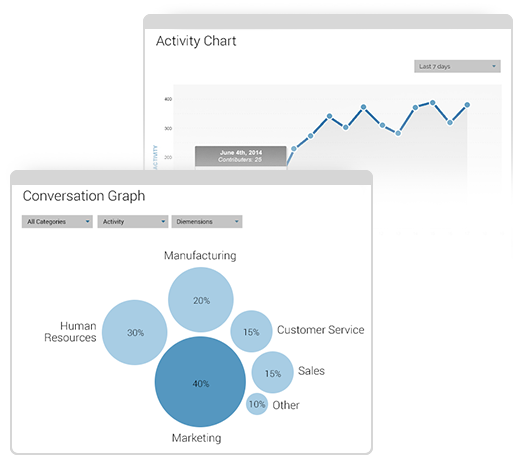 The user interface brings a contemporary feel to your idea discussions. TemboSocial Ideas leverages participant activity and profiles to create an exciting and lively collaboration space. 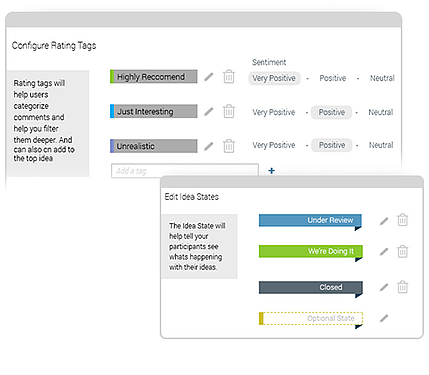 With Ideas you can leverage the crowd to do much more then just vote for the ideas they like, they can also classify comments submitted to each idea with social tagging. Advanced algorithms reduces duplicate ideas. Fewer duplicate ideas contributes to higher levels of activity since there is less annoying repetition. Addressing duplicate ideas also ensures that energy of a great idea is not watered down across multiple discussions. Multiple Idea discussions can run simultaneously in your environment. 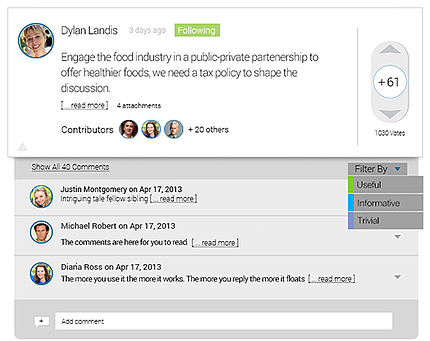 Community owners can easily add and configure their own idea discussion on the pages they manage. What challenges provoke the most discussion? 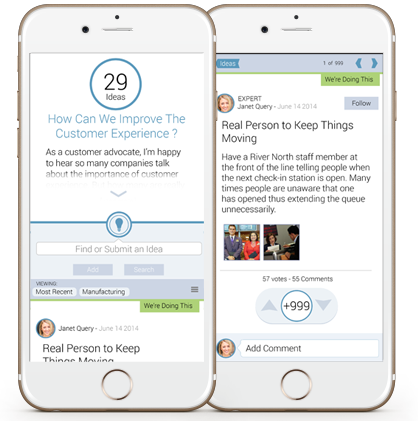 Real time filters based on sentiment, recency and influence help discussion owners drill down into the most important activity. Who are the best ideas coming from? Show participation by region, workgroup or role. Ensure you have participation from the required stakeholders before your campaign is completed! Show activity stats by time so you can measure the impact of your campaign or see the results of your promotions. 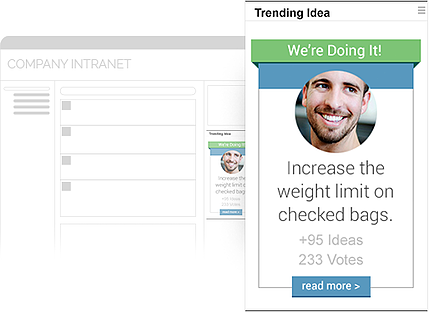 Add dynamic content streams to any page of your intranet. Banners drive traffic and increase participation in your online conversations. 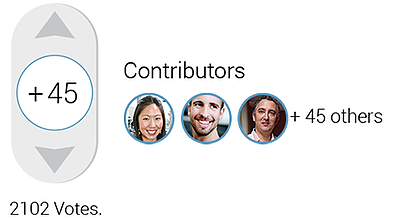 IBM has done an excellent job on their Connections app for iOS and Android, and TemboSocial Ideas for Mobile fits right in. It's now easier than ever to join the discussion whenever you get a stroke of inspiration. 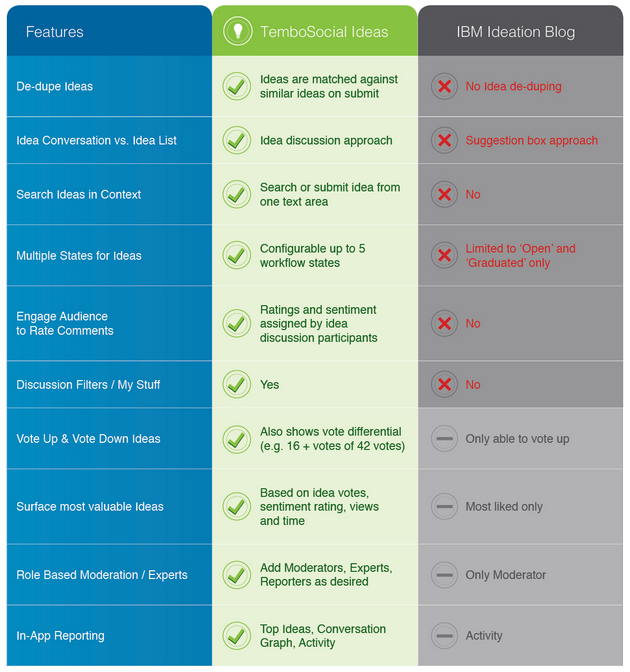 To access TemboSocial Ideas, download the IBM Connections app and select “Ideas” under “Apps” from the navigation panel. 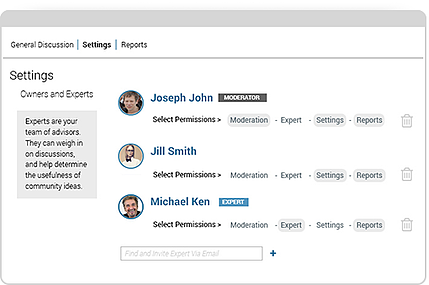 From there you’ll get quick and easy access to every idea discussion in all of your Connections Communities.